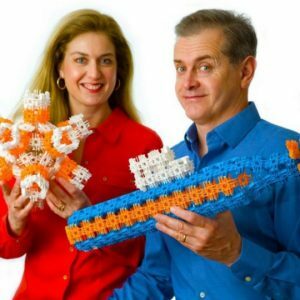 LUX Blox is a revolutionary construction toy which teaches kids (and adults) about nature’s design principles through play. LUX links together instead of stacking – allowing it to bend, flex and move like no other construction toy. LUX is a Parents’ Choice Award Winner and was named “2018 Top Toy” by Autism Live for help in developing fine motor skills and concentration. 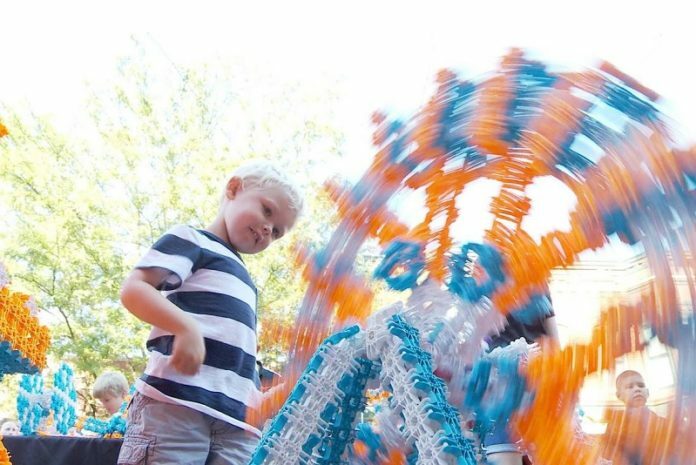 Called “Next-Level Legos” by New York Magazine and a “Toy Inspiring Engineering Thinking” by Purdue University, this award-winning construction toy imitates nature at the structural and mechanical level. LUX was designed to inspire children to invent and explore nature’s design principles in a most entertaining way. Made in USA – Galesburg, IL based LUX Blox is the rarest of toy companies. It makes its products in the United States and ships free throughout the country. LUX Blox products are packaged by Bridgeway, a local non-profit that employs adults with intellectual disabilities. Don’t miss your chance to meet & shop with LUX Blox at the Oak Brook Artisan Market on May 18-19, 2019 (Sat 10-6, Sun 11-6) at Oakbrook Center – along with the Midwest’s top artisans in fashion, food, home goods + art. • Fidget Flexers – With amazing motion, a satisfying “click” sound, and 5 color options to choose from, these keep kids focused and flex their minds; includes 30 pieces. 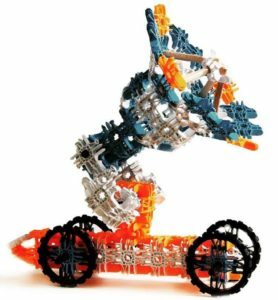 • Starter Kit – The 88-piece beginner set has just enough builds to learn the basics of LUX with instructions to make a cycle, a robot, a helicopter, a Martian Lander, a pair of goggles and more. include fluted birch dowels milled in Haywood, WI. • Jumbo Genius Set – Explore deeper and have a larger play experience as you build castles and cathedrals and other architecture with 450 pieces. LUX Blox connect with a hinge to make structures that curve, bend and move. Users can tap into modern engineering principles when building with LUX and are able to make creations from simple machines to complicated structures. LUX is not only entertaining, but is the ultimate “hands-on” STEAM learning tool. Individuals with autism and sensory disorders also enjoy LUX, and they were recently named “Top Toy” for Autistic Teens. LUX is literally a user interface with nature at the structural level, which is why so many different kinds of people of all ages and backgrounds love playing with them. LUX utilizes nature’s own design principles to change the ecology of play by integrating the connection-making abilities of the mind with the connection-making principles of the universe. It’s all about linking thinking. Instead of stacking or sticking, LUX Blox link like nature. The LUX story started when Michael and Heather Acerra of Galesburg, IL set out to make a construction system that would build things the same way nature builds itself. They enlisted the aid of Daniel Wollin, a 15-year-old German whiz kid who lived down the street, bought a 3D printer and began a three-year project to build a better block. LUX is family-owned, based in Galesburg, manufactured and packaged in the USA, and made from ABS (Acrylonitrile Butadiene Styrene) Plastic, a material commonly used in the manufacture of children’s toys like Lego bricks – that has been tested to be safe for use by children. LUX Blox is proud to employ adults with intellectual disabilities through Bridgeway, a local nonprofit, for the company’s packaging and fulfillment needs.